The Equal Opportunity Cell of Avinashilingam Institute for Home Science and Higher Education for Women was constituted by the Institute on 6th January 2010. The Cell was set up to implement and monitor the functions and activities of welfare of the disadvantaged and marginalized groups of the society and other related activities organised to foster academic and professional skill competency among college students. The cell regularly enrols the students for all the courses from the afore mentioned categories to help the students to enhance the employability skills by means of training and give awareness to competitive exams, Placement, National and State Eligibility Test for Lecturer ship, Carreer Guidance and Remedial Training. The cell also offers in house training and remedial caching to the students with the help of experienced faculty. The SC/ST cell functions actively with its own significant dynamics. 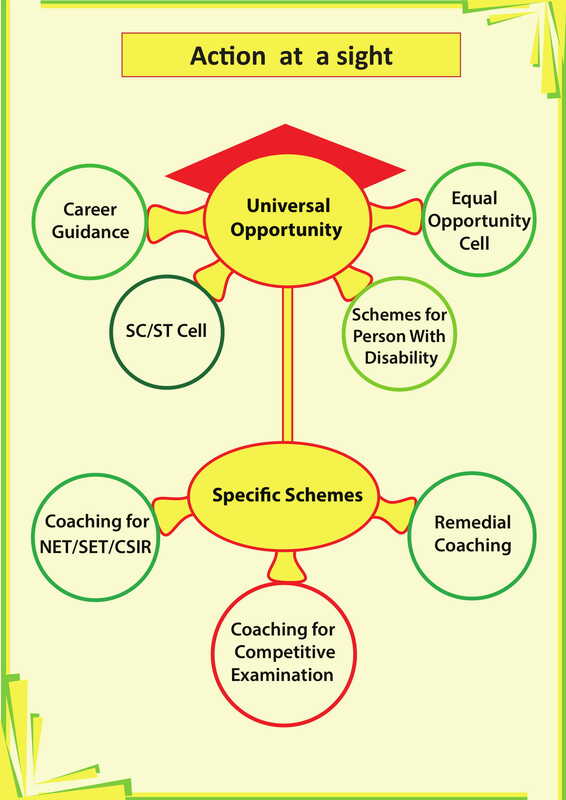 The Cell strive to channelize benefits of the Government Schemes to the students. Besides guiding the students on career options and opportunities the centre also motivate the students to update and equip themselves to face the academic the challenges. The scheme caters to the educational needs of students with different disabilities studying in different programmes. 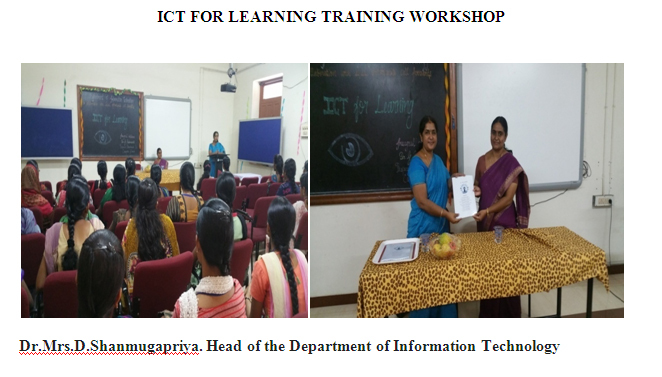 The students are being trained in the use of high technology for their convenient learning. Inclusive environment is being provided in the classroom and the hostel attached to the campus. To function as a unit to redress grievances of differently-abled students and render them necessary help in solving their academic and functional problems. UGC sponsored Coaching class for students belonging to Scheduled Castes, Scheduled Tribes and Minority Community Students functions with the objectives to motivate and equip students to take up employment in Central and State Government Services and other equivalent positions in private sector for various designated post. Focusing on the specific requirements of a particular competitive examination. The centre also aims at imparting specific competency skills for particular competitive Examination such as UPSC, State Public Service, Bank recruitment, TNPSC etc., Regular classes after the collage hours are being conducted with experienced faculty members. Syllabus covering Indian Polity, General Science, Current event, Geography, History, Culture of India, Indian Economy, Indian National Movement, Aptitude and Mental Ability are taught by trained faculty members. To enable the students to understand and relate conceptual skills on politics, social structure and economic growth of our country, vibrant brain storming sessions are being organized at periodic intervals. Debate and group discussion forms a part of learning culture. Students aspiring to take up banking services are trained in Quantitative Aptitude, Reasoning Ability, English Language, Computer Science and Banking. Periodic Tests, Sharing of Knowledge Resource, Web Link, Journal and updates on competitive examinations and important dates are intimated to the students through notice board. Monitoring and reviewing of test performance is also done at periodic intervals. Group Discussion on aptitude, reasoning ability, English language, computer science and banking, Indian History, Indian Polity, General Science, Geography, and Culture of India, Indian Economy, Indian National movement. Posting of advertisement/important date and result. 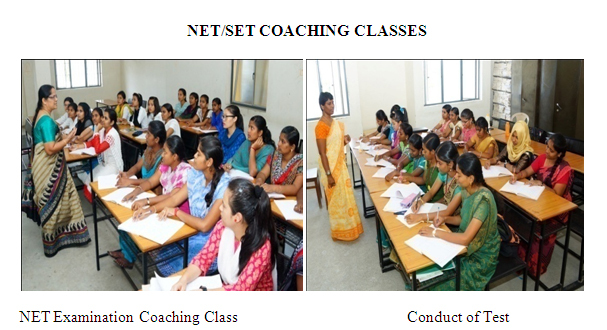 The centre for UGC Scheme for NET/SET/CSIR Coaching for Students belonging to Scheduled Castes, Scheduled Tribes and Minority Community Student functions to train the PG students / scholars to crack the NET / SET exams to meet the eligibility criteria for selection as Lecturers in the university system. Coaching classes for the students namely Home science, Life science, Physical science, Computer science, Management, Psychology, English, Tamil, Economics and Commerce for the Paper I and Paper II for CSIR and NET exams for all students from different faculty is being conducted regularly after the collage hours since 24th June 2005 by respective trained in -house senior faculty member. Beside teaching, periodic test, discussion of previous year question bank and sharing of study material are also done. To make the teaching, learning more effective, copies of the study materials prepared by the teachers are issued to the students as and when a particular topics is Complete . An exclusive section in the university library featuring Books , reference materials and question banks established by the center caters to the needs of aspiring young to -be teachers of our institution. Bring positive changes in attitude towards studies. Improve the performance of the students in internal and external examinations. Mentor and motivate on interpersonal capabilities. Tutorials, discussions, interactions and remedial coaching. Personal, academic and social counseling. Concept clarification and problem solving exercises. Provision for simplified but standard lecture notes/course materials. Assignment preparation on latest advancements in this subject. Enhancement of communication skill and art of reading-learning. Participation in quiz, debate and problem solving. Trial tests and mock examinations. The Office of EOC compiles relevant information about students belonging to the marginalized section of the society. The EOC will seek support and co-ordinate with different individuals/organizations engaged in the welfare of marginalized sections of the society for employment and other training benefits to enhance the employability skills of the students. The EOC also addresses the grievances, if any, of the students belonging to SC/ST, minority and PWD and observe the policies and guidelines of the Government and University Grants Commission. The EOC hold awareness programmes regarding the special needs of the afore mentioned sections. 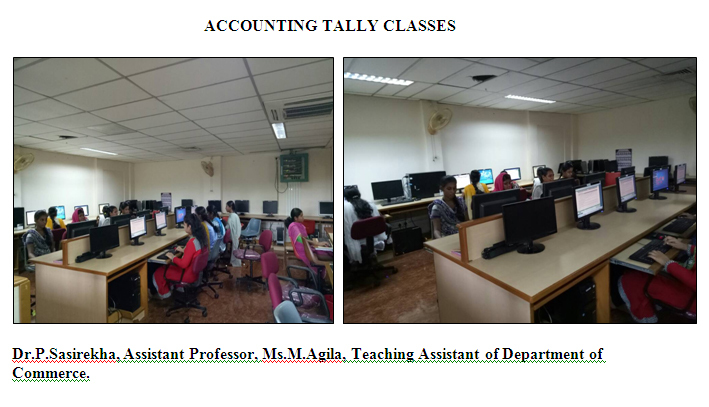 In house training and remedial classes with resources persons in the campus, in identifying the need areas and if need be the resource persons are also outsourced. The EOC makes reports and utilize the fund for the benefit of the students and hold review meetings to improvise the activities of the cell. The EOC also ensures that the scholarship for the aforementioned students are made as per the policies of the Government and the benefit reaches the needy students in a complete manner. The EOC enables a comfortable learning environment by removing infrastructural pitfalls for the students with disabilities and inhibit access to resources (special assistive devices) and to various courses. The Equal Opportunity Cell organizes various training and development programs for the studentsin providing them extended support in the form of remedial coaching. Conducts competitions in order to cultivate inclusion and ensure that there exists no discrimination against the students of scheduled caste and scheduled tribes and are made to actively take part in all student bodies and work with spirit of equality and develop the same in the institution. 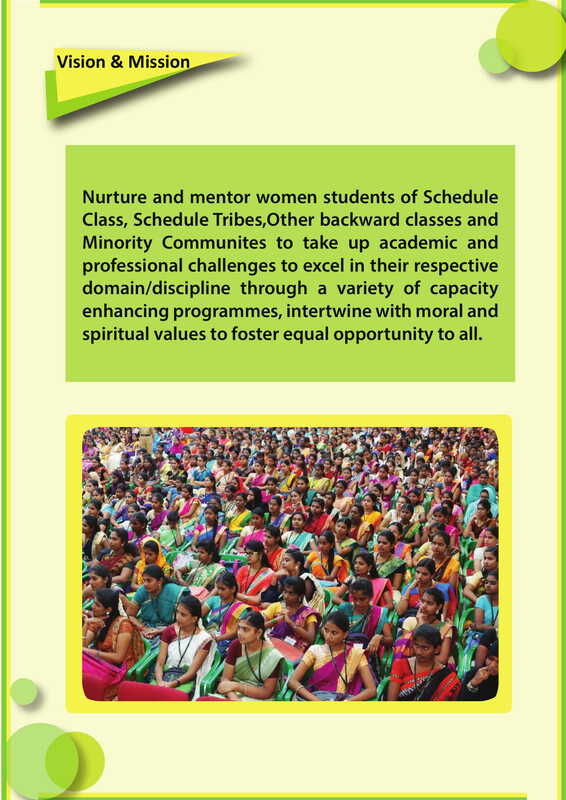 Gender sensitization issues are addressed and ensures participation,in all socially relevant activities and address the problems, if any, of themarginalized/disadvantaged sections of the society so that they are able to improve theirperformance not only in education but also in other spheres of life.Programmes on skill development, Career Awareness programmes, motivational sessions, Confident building sessions and on leadership qualities are organized. Since 2015, a special recruitment drive was organized to the students from SC, ST and economically weaker Section . 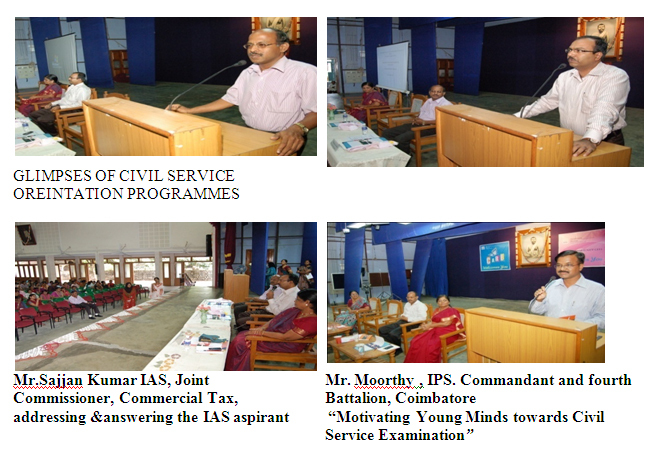 This hiring is a part of the 100 hours employability training of Affirmative Action Programme of TCS, Chennai. The graduating students alongwith all this intensive training facilities enrich their employability skills and participate in all campus interviews and get placed. They are also encouraged to appear for entrance exams on banking and the aspiring students are guided to pursue higher education too.